According to an NPR email that has gone out to its partners, we should be seeing (or is it hearing?) 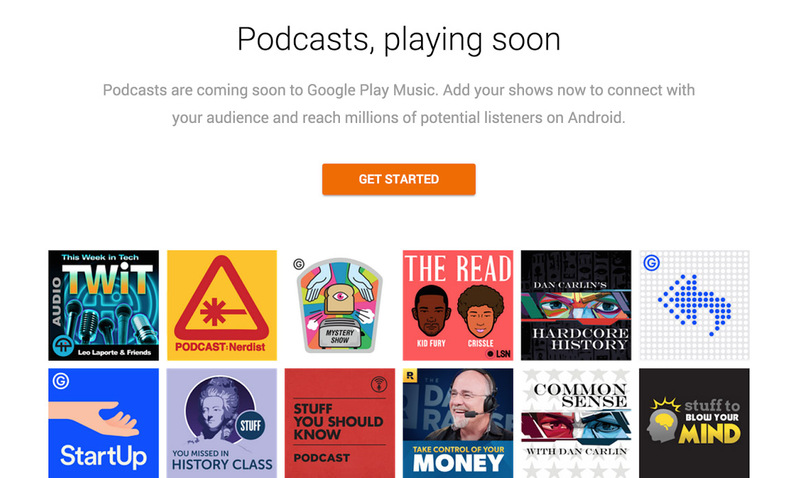 Google Play Music Podcasts arrive on Monday, April 18. While I think it’s safe to say that we are all a little hesitant to mark it on our calendars, this seems much more official than Bill Simmons spouting off to Twitter. This is NPR, after all, sharing with who knows how many partners, Google’s plan to release podcasts. The point of this email is to let their partners know how they can prepare for the launch and probably isn’t something they would casually, softly, throw out there. So what does this mean for you and I? Podcasts on Monday! Yay! Hopefully. Google first announced that podcasts would join the Google Play Music family back in October of last year and even let publishers (like us!) sign-up for the service. Our DL Show has been ready for launch from that day and so we can’t wait for this to finally happen because you will have another option for subscribing to not only us, but you other favorite shows as well. We’ll let you know if any pieces start moving Monday morning.